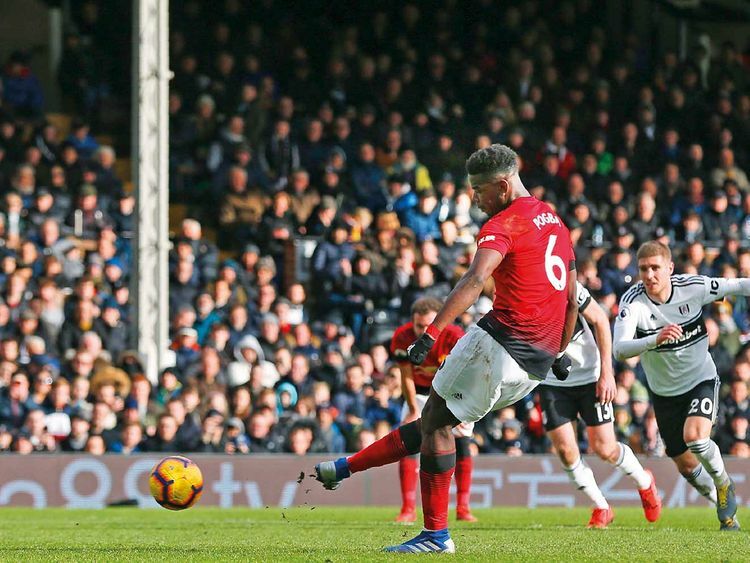 Fulham yLondon: Manchester United swept into fourth place in the Premier League as Anthony Martial’s sublime strike inspired their 3-0 win over struggling Fulham on Saturday. But on a blustery afternoon, United had rode their luck and were about to blow Fulham away. Yet, Pogba was reduced to the role of admiring spectator for once when his compatriot Martial doubled United’s lead in the 23rd minute.